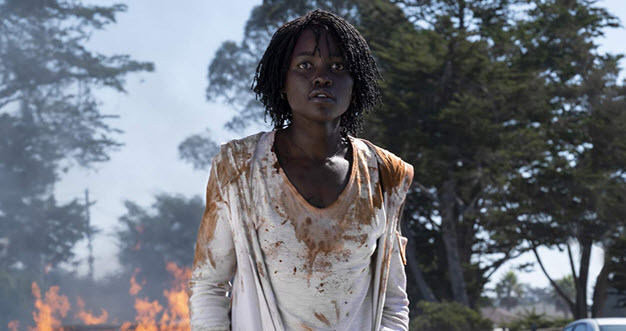 Jordan Peele's latest horror film, Us, dominated the box office this weekend. The film had a huge $70 million opening and an $18,800 per theater average. A family is terrorized by creepy dopplegangers in the film starring Lupita Nyong'o, Winston Duke and Elizabeth Moss. As Deadline notes, this is a record opening for an original horror film. Peele's last film, Get Out, was also a box office hit and has become a cult classic. Us has a B CinamaScore. Us was followed by Captain Marvel, which added $35 million and has made $321 million after 3 weekend in theaters. Captain Marvel was followed by Wonder Park, Five Feet Apart, How To Train Your Dragon: The Hidden World and Tyler Perry's A Madea Family Funeral. There were no other major wide releases this weekend. You can find the box office chart here. Us is unlikely to repeat next weekend with Disney's Dumbo making its debut. Other opening films will include The Beach Bum, Unplanned and Notebook.